The Rebels continue their tour of South Africa this week in Durban where they face the Sharks. Both sides coming off disappointing losses last weekend. The last time these two sides meet in Durban they played out a 9 all draw, all I can say is that I expect to see more points than that by half time in this one. 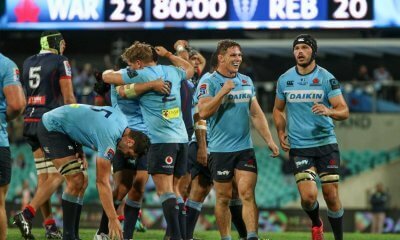 The Rebels form is a bit hard to tell, they won there first three games of the season, two wins over the Brumbies and one against a Highlanders side missing a few All Blacks. They lost last week to the Lions after throwing away a massive lead. This week, the Rebels are missing a few of there stars. Adam Coleman, Will Genia, Marika Koroibete and Isi Naisarani returning to Australia for Wallaby rest duty. 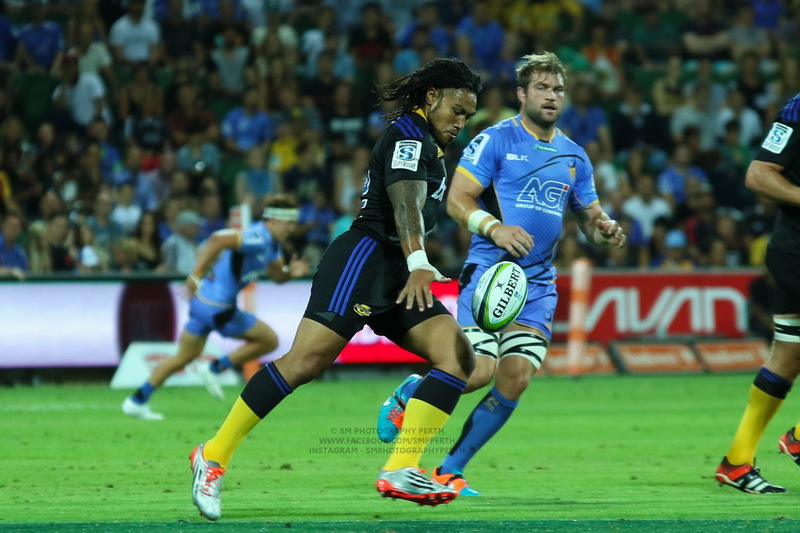 The Sharks season started nicely with good wins over the Sunwolves and Blues. But in the last two games, they have been disappointing with loses to the Stormers and Bulls. The bye last week could have helped them refocus, but this Rebels fan is hoping it’s had them over thinking about the lose for an extra week and they come out slow. The Rebels have made plenty of changes to the side that faced the Lions last weekend. 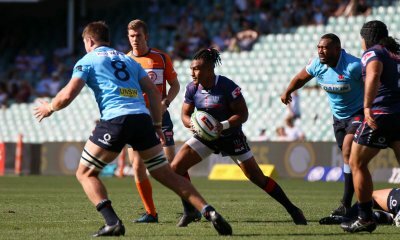 Local product Sione Tuipulotu starts at 13 this week with Tom English moving to the wing and Cambell Magney making his first Rebels appearance from the bench. Other changes include Jack Maddocks starting at Full back, with DHP ruled out for 6 weeks with a foot injury. Luke Jones has retained the blindside flanker position after his solid performance last weekend, he has looked quite sharp since returning from France this season. Maddocks, the Rebels scoring machine. I’m looking forward to seeing Pone Fa’amausili get some game time off the bench, we need a prop of his size to break through and stabilize the pack against sides with a more dominate scrum. The Sharks, well I have only really seen highlights of there season so far. In fact, I’m trying to work out who are these guys? I don’t recognize too many names on the team sheet, this side makes the Rebels side look old and experienced. Then you come to the front row and then realise that the Rebels will be in for a long night. Who should we keep our eyes on this week? I have to admit I was never a big Meakes fan, but playing outside of Quade this year he has really looked good, his defence has been solid and he looked quite good on attack. The way the young Sharks backs have been throwing the ball around Esterhuizen needs to be on his game, as Meakes has a knack for an intercept and any loose offloads from Esterhuizen could end up being punished. Billy on his way to a try against the Lions. He might not be in Cheika’s plans just yet, but a good game against Esterhuizen should help change his mind. What more could you ask for than two big balling running hookers coming face to face? Both love to get the ball in hand and test out the opposition defence. We even saw some fancy footwork from Rangi, perhaps a little dance, in the lead-up to that marvellous second try from last weekend. Akker van der Merwe – loves a run. Adding to his running flair, Rangi has been working on his set piece, resulting in more wins at scrum and lineout time. If he continus to improve his consistency, and has another big game against the Sharks, Rangi could easily gind himself on a plane to Japan in September. After last weekend Angus Cottrell has a big job on his hands taking on the captaincy for the first time. While I really like DHP as a player I find that his to far away from the action to really have any sway on the referee as captain. When questions needed to be asked the captain needs to be the one asking and from full back when a scrum is resetting it’s a bit to far. Angus is a hard-nosed forward, with a tireless work rate and strong presence at the breakdown. I’m sure this will show in his on-field leadership, and help to lift players at key moments. Heart says Rebels, head says Sharks. It’s a really tough one to call, the Sharks looked good against the Sunwolves and Blues but struggled against the Stormers and Bulls. 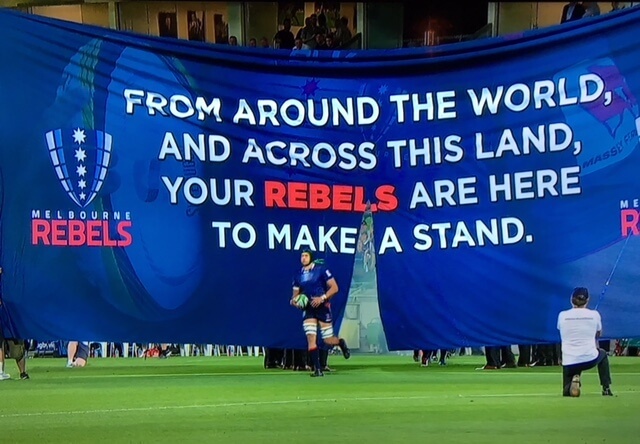 The Rebels have only really looked good for the first 40 minutes last weekend and ill-discipline and game management cost them that elusive South African win. If Genia was playing I would be picking the Rebels, but cause his back home, I pick the Sharks by 1. Can’t see Rebs winning at all without Genia. Marika will probably be in Melbourne by now with Coleman, DHP, Genia, et al. Great week to be in the land of the Dutch Dirt Diggers – only shame is I had to change plans and will in Pretoria to see the Bulls match tonight instead of the Rebels in Durban. Going to be a tough match up for the Rebs – but not beyond their capacity. Going to be fascinating to see how they go without Genia – but with Cooper still steering them around the park, they will be a handful. Back at sea level, they should be good for a full 80 minutes this week. Can’t say that I know many of the Sharks team but it will be another tough one for the Rebs. Probably a Staffa ref as well so you can see which way this one will go. Me, cynical,never in your life. Apparently the TBC is Stu Dunbar. He went pretty well in the trial game at Ballarat. Sharks have a scary looking front row, but the Rebels look to have the superior 4-8. Today is really the day to see how Quade can perform without Genia. Hope the Rebels can pull this one out. I find it hilarious that wallaby management wants players rested for a game or two of super rugby, then when they get them in wallaby camp, all they do is flog them with hill sprints and fitness work….